Unconscious bias has enormous implications for the creative industry, both when it comes to the people being hired, and the individuals the industry seeks to engage with its creative output. A recent report by Campaign found that just 13% of respondents felt they were well represented by brands. To better understand the repercussions of unconscious bias, and the ways creatives en masse can and should be fighting back against this phenomenon, we got some insight from Dentsu Aegis CEO Tracy de Groose, and Creative Equals founder Ali Hanan. De Groose has called for an end to the industry's habit of hiring 'lookylikies', and pushed for more diversity acrosss the Dentsu Aegis group. Meanwhile, through Creative Equals Hanan has set up a charter that holds agencies accountable for advancing gender equality, and addressing the lack of women at a senior creative level. Over to them for a crash course in what unconscious bias is, and the work needed to bring it to an end. How would you describe unconscious bias, and what does it mean to you? Tracy de Groose: Everyone has unconscious bias to varying degrees, we just don’t realise it. We can’t cure ourselves of it, but we can learn to be aware of our own biases and manage them. Certain stereotypes, such as that women are emotional, whereas a raised voice from a man at work is not, or even that emotion is a sign of weakness and 'un-leader like', are common biases that are so ingrained they are hard to see. Ali Hanan: ​Our brains use shortcuts to make decisions about people and situations based on our experiences of the world. It's part of our 'fast thinking' process which is metaphorical, intuitive, associative and impressionistic. So when we meet someone for the first time, we make instant judgements about them. In the first five minutes, we decide whether we would consider hiring someone or not. And, if this person's background or experience resonates with our own, hiring someone like us feels like a natural choice. What role do you think it plays in the creative industry? Tracy de Groose: Unconscious bias not only impacts the makeup of our workforce, but also the work that we put out into the world. 80% of the people our industry needs to talk to are women. That’s because women make around 80% of all purchase decisions. Yet, women make up just 25% of creative departments, while those in senior creative roles represent only 12%. As a consequence, many women feel misunderstood by advertisers and feel that they aren’t engaged in an authentic way. Until we start to see greater diversity within creative departments, across gender, ethnicity, age, background, etc., people will continue to feel misunderstood by advertisers. Ali Hanan: ​Unconscious bias has a huge impact on the hiring decisions we make. People naturally gravitate towards 'people like me'. Right now, approximately 12% of creative directors in London are female. Since like hires like, until we shift these numbers, the numbers coming into the industry won't change. And, the fact is people tend to mentor those who are also their mirrors. So, right from the start young female creatives often miss out on mentoring. This behaviour is natural, so to challenge it we must consciously seek those who challenge us. This can feel uncomfortable. Only by doing so will we start creating braver, richer work. The fact is diversity drives better creative solutions. Simply having those who we are targeting represented within our creative departments makes complete business sense. What's being done to address this? Tracy de Groose: Addressing bias, and diversity as a whole, is a top priority for our business because we believe diversity drives creativity. We also recognise that to get the diversity we are looking for, we need to foster a culture where people are able to be their honest selves at work. Over the past couple of years we have launched a number of initiatives to support this thinking, such as the launch of &PROUD, our LGBT+ network, our Women & Leadership programme, and more recently our gender equality network, called ONE. Last year all senior leaders across our agencies in UK and Ireland went through unconscious bias training, and next month all our people managers will be going through the same training. This is delivered using a highly interactive 'live theatre' model where stories from our own business are played back to help people understand what bias really looks like day-to-day and to start taking active steps to create a more inclusive workplace. Ali Hanan: We work directly with agencies to break down these biases, but equally we supercharge the staff within agencies so female creatives can reach their full potential. We want them to stay, thrive and do the best work of their lives. We firmly believe everyone should receive unconscious bias training to recognise their own implicit bias. 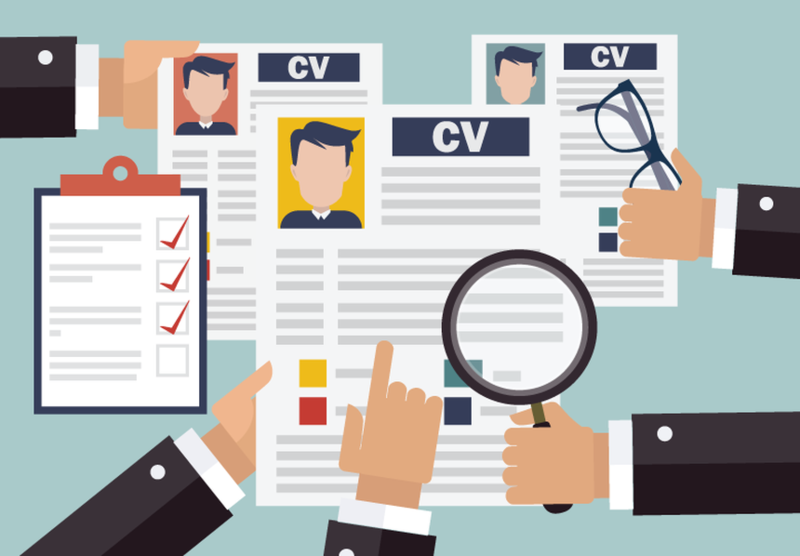 We believe companies should consider 'blind CVs' , or taking names off entirely. Tracy de Groose: There is no 'one size fits all' approach, and no single strategy will fix the challenge. Agencies need to understand why, for example, talented women do not make it into the top jobs or why people of colour are less represented in general, and put a strategy in place. The biggest difference we can make is to stop just talking about diversity challenges, and start taking positive actions to change things. We need to improve the numbers, but unless we transform the culture that exists across the industry, we will be treading water. This is where inclusion comes in. Diversity is the numbers, inclusion is the culture. We should encourage differences, embrace new ways of working and value fresh perspectives so that everyone, regardless of background, feels and believes they can have a voice. ​Ali Hanan: I firmly believe the recruitment sector plays a huge responsibility in changing the ratio. Recruiters need to look deeper and wider for talent. They need to use gender neutral language and imagery, and, most importantly, ensure longlists are at least a third female and people of colour. D&AD's New Blood Shift programme runs a 12-week night school in London and New York to introduce those that haven't been to university to the creative industry.